Can Transformer Movie Add Intelligent Forklift This Role Next Time? Can Movie Transformer Add Forklift’s Role Next Time? A driverless intelligent forklift is busily shuttling in the warehouse, picking, material handling etc. It too much like a machine being added special effect in a Hollywood blockbuster! Can we add forklift role on next transformer film? Assume the movie will become more fascinating. Self-driving is not the only skill for intelligent forklift, it has many special characteristics. 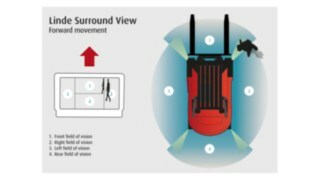 There are control systems implemented on the forklift and they are connected to internet. Any warehouse or construction site can implement the intelligent system, with proper training. The management becomes so easy, if any forklift is lazy and does not work well, people check the control screen and will get to know! No matter where the forklift is and what malfunction happens, you can learn about the reason and repair it accordingly. It is easier to understand ‘Internet plus’. ‘Industry 4.0’ consolidates both traditional manufacturing and digital technology to realize the overall intelligent manufacturing through supports of ‘Internet of things, cloud computing, big data’. Like Germany related field take it, this is a revolution, the fourth revolution after steam engine, electrization, automation. Suddenly, these AGV small vehicles are the wave-leader in this age! GESM is born under the concept of Industry 4.0. Product category: one is new energy logistics smart equipment, the other is green energy commercial vehicle manufacturing platform. Vehicle parts three “electronics”: like controller, motor, etc. GESM factory will be starting above mass production from Oct 2018! Warmly welcome to GESM for visits. MIDEA declared on Mar 22nd, it will build joint venture with KUKA Aktiengesellschaft to establish new production base to mutually push forward KUKA’s business in China. According to the announcement on Mar 21st from KUKA, its Supervisory Board has approved its general China industrial business merged with Swisslog Holding AG (following as Swisslog for short) , and undertake above business with MEDIA with the profile of joint venture. Both parties share 50% of stocks. The establishment of the joint venture will accelerate the penetration and expansion for KUKA’s business. China SHUNDE Science and Technology Park will establish a new production base for new product development, the production capacity of Robots will be estimated up to 75,000 sets till 2024, plus current capacity, annual volume for Robots will be expected to reach 100,000 units. KUKA Robots Co., LTD, established in Germany in 1995, is one of the leading industrial robots manufacturers in the world, focusing on providing automation solution for the industrial manufacturing process. KUKA has more than 20 global subsidiaries, MEDIA (China home appliance enterprise purchased 94.55% stock share from KUKA in Jan 2017. Since Jan 2017, DEMO narrow aisle reach forklift worked in Sri Lanka and it has been more than 15 months since then, they worked well and well again. Firstly the lifting height is a legend, it is up to 12500mm, the height ranks among the most advanced technology in the world and is almost the highest level in reach truck field. Secondly, the telescopic fork is another legend, the forks total length can reach 2240mm, it can work among double deep racks with the top loading 500kgs, that is amazing. Our customer commented that DEMO’s stacker sold in last five years was also a legend. They are high quality and in stable operation every day to protect and ensure their business running smoothly and more economically. Three legends ha, let us continue these legends in the future. Like our products? contact Erica LI at alex@demolead.com. With 17 years specializing industry experiences, DEMO Corporation is a modern enterprise consolidating design, R&D, manufacturing, sales and services. It has invested four production bases consequently in Shanghai, Anhui, Sichuan, Zhejiang provinces. Product line includes an overall series of new energy industrial vehicles (mainly full range of forklifts, logistics vehicles, tractors) Electric stackers, warehouse racking system, automatic storage software system, AGV, industrial door etc. DEMO is the only initiator and facilitator that has its own three brands and one-stop logistics system in China with exportation to over 60 countries and regions around the world. Malfunction diagnosis device, come with high quality digital displaying function . Controller is horizontally mounted for easy maintenance .